How much does it cost to go to a game of football having paid to get in, flicked through a programme and washed down the woeful first-half performance with a scalding pie and a cuppa? It's the simplest of questions with the hardest of answers - and so began Price of Football in 2011. In the five years since, it has grown to become an annual fixture in British sports journalism and the biggest study of football prices in European football (probably, the world.) It's something we're immensely proud of on the BBC Sport website. 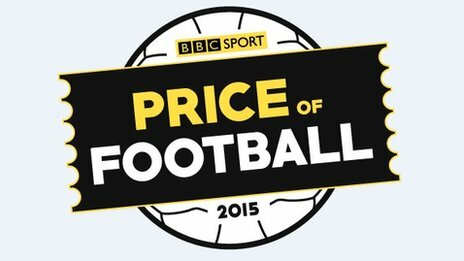 This year we included the prices of almost 230 clubs from every major league in British football, with coverage everywhere from dozens of local BBC radio stations, regional news outlets, Nations, network TV and radio news and programmes from Newsround to 5Live and, of course, the BBC Sport website. There, alongside our modular storytelling created specifically for mobile, we reproduced all of the data and produced bespoke graphics and videos aimed at helping the audience digest the data on the go. But it doesn't end there. When you produce a huge amount of data journalism around the nation's favourite sport, you stir the reader's emotions like few other topics, so engaging the reader is crucial to the project. Our colleagues in Visual Journalism at BBC News produce the Price of Football calculator, where the audience can work out their individual cost of following their team - again designed with mobile in mind. On social media, and in our rolling web page Sportsday Live, we harness and drive the conversation around the topic with graphics and bespoke content, ensuring #PriceofFootball leads the way across the day. It's become a project like no other. From start to finish the process takes around eight weeks. Two journalists - Caroline Chapman and Luke Reddy this year - began the onerous task of contacting every club back in August. 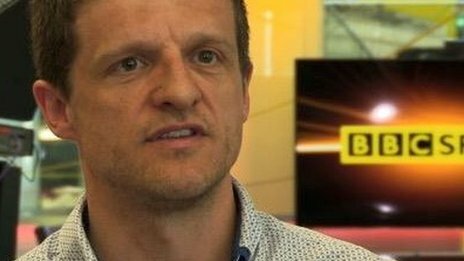 An assistant editor, this year Ian Singleton, led the project from early September and, at every stage of the process, we speak to editors across the BBC to ensure our gathering is tailored to suit specific platforms and interested output. Doing that early, from the outset, is crucial to the huge take-up of the project later on. For the second year running, we also shared the data with external media, meaning everyone from locals outlets like the Kidderminster Shuttle, Manchester Evening News or my old haunt the Grimsby Telegraph, to national media like the Daily Telegraph, TalkSport or Sky Sports who could also share the BBC's journalism and credit us for it. It's exactly the sort of approach Tony Hall told everyone he wanted when he announced the ambition last month for more partnerships between the BBC and the wider media industry. But way back in 2011, it wasn't the monster it is today. Just two months after arriving at MediaCity in Salford, we set about producing the first ever Price of Football. The aim was to calculate the cost of a day at the football. Yet with so many pricing categories, we opted just to cover the most expensive and the cheapest matchday tickets, plus a pie, a programme and a cup of tea in an attempt to standardise the price of the fan experience and present the information in a balanced and impartial way. It's a simple principle, and one we've stuck to every year, with the addition of the highest and lowest-priced season tickets in 2012, and shirt prices in 2014. From 104 clubs in the first year, through the additions of all of the Scottish divisions and the Women's Super League in the second, European teams 12 months ago and now, in 2015, the Welsh and Irish leagues, the study now encompasses 227 clubs and more than 3,500 individual pieces of data. Each and every one of those facts is double-checked with the club involved. And then away we go. There's no protectionism on this project. No keeping material from other outlets. It's about getting an original piece of journalism to as many people across the BBC and beyond… and I think we do all right on that front.